JEFFERSON CITY, Mo. — With the resignation of Gov. 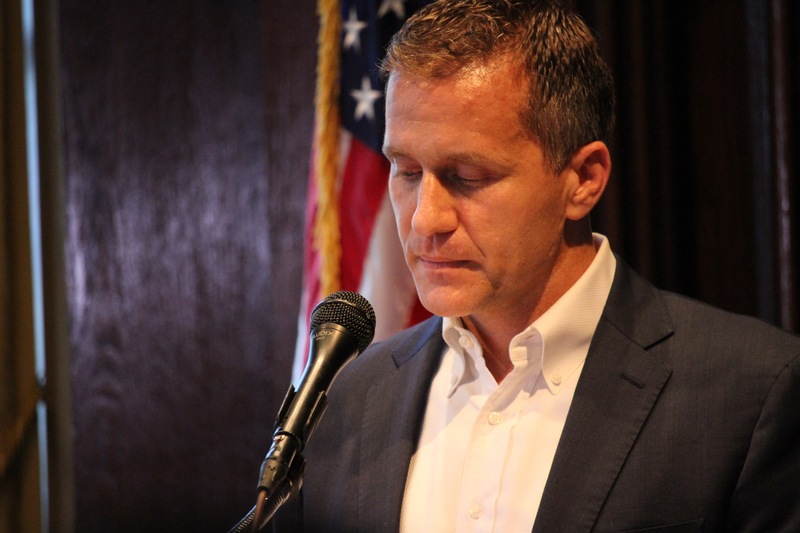 Eric Greitens, the Missouri General Assembly will no longer need to continue with the special session, House leadership wrote to their Republican caucus members. Greitens will officially resign from office at 5 p.m. Friday, June 1, and Mike Parson, the lieutenant governor, will be sworn in as Missouri’s 57th Governor. The embattled Republican who came into Missouri politics as an “outsider” was indicted on two separate felony charges in 2018. The first, handed down by a grand jury in February for invasion of privacy, was dropped by the St. Louis Circuit Attorney Kim Gardner in May and referred to a special prosecutor. Gardner has said they have reached a deal with Greitens involving the second felony charge, computer tampering, but has yet to release the details. Following the first indictment, the Missouri House formed the Special Investigative Committee on Oversight to look into the allegations against the governor. The committee went to work and released two scratching reports. In light of the allegations against Greitens, the General Assembly made a historic move and called themselves into special session — the first time the legislature has exercised that power. The special session was for the purpose of potential disciplinary action, including impeachment, against the Governor. “The decision of Gov. Greitens to step down means we will no longer need to proceed with the special session, and the investigative committee will wrap up its work in short order,” House leadership wrote. The special committee has canceled their meetings for the rest of the week. On Tuesday they questioned Michael Hafner, a longtime GOP consultant who worked with the Greitens campaign, and had been scheduled to go through a large amount of evidence on Wednesday. Last week, in the first public meetings, they read aloud roughly 14 hours of cross-examination of K.S. — the woman with whom Greitens had an extramarital affair in 2015 — by the defense. They also heard testimony from Scott Faughn, publisher of The Missouri Times, Al Watkins, and a forensic expert. The hearings got contentious when Greitens defense team refused to comply with the committee’s subpoenas to hand over evidence. “We know there are still many questions to be answered, and we will devote as much time as necessary to ensure you are fully aware of where we are, and what happens next,” the email reads.